You’ve found us! 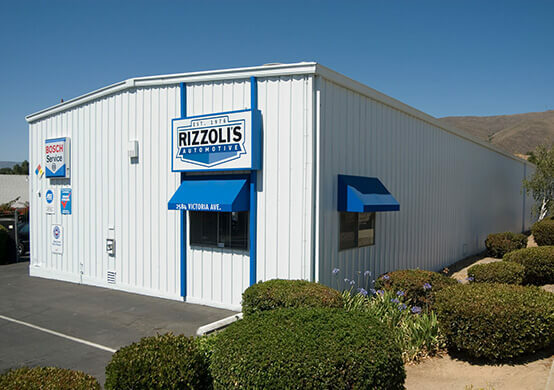 The best auto repair facility in the San Luis Obispo and Santa Barbara Counties is Rizzoli’s Automotive. We’ve been faithfully serving the San Luis Obispo area since 1976. This family owned and operated service facility has built its reputation upon top quality auto service, complemented by exceptional customer service. Our quality auto repairs and maintenance services could not be contained to one service location. We expanded in 1989, adding a second facility in Santa Maria, CA. 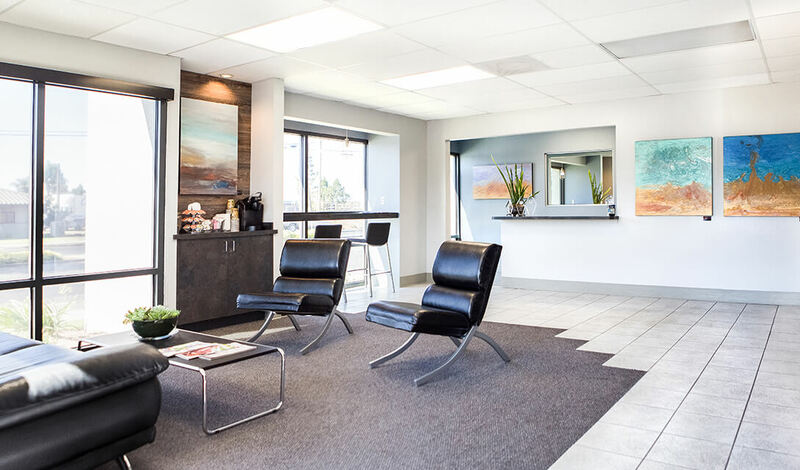 Being voted “Best Auto Repair in San Luis Obispo and Santa Maria, CA” was one of our recent highlights, and evidence that we’re the best option for local motorists. Come to us for decades of service expertise on for all Domestic, European, and Asian imports Whatever you’re driving, we got you covered! 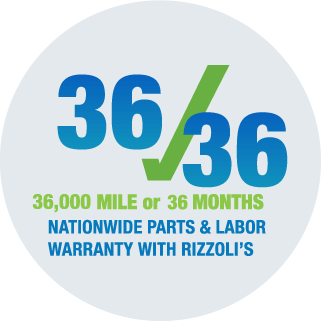 We stand behind all of our auto repairs with an industry-leading nationwide warranty–36 month / 36,000 Miles. Trust is the most important part of your auto service experience. We have ASE Certified technicians on staff who go above and beyond to earn and keep your trust in the auto repair process. Our dedicated customers are used to the top-notch services that we provide, but we believe it’s our quality customer service that keeps them coming back to us. We treat our customers just like family, and their vehicle like it was our own. The team at Rizzoli’s Automotive is looking forward to your visit to our shop or your phone call. Either way, you’ll hear our inviting smile or you’ll see it in person. Our reputation for excellent services precedes. 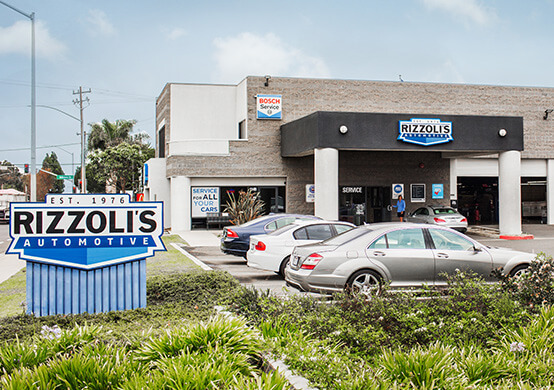 Just ask around about Rizzoli’s Automotive and you’ll find that we’re the preferred service destination for motorists throughout San Luis Obispo and Santa Maria, CA areas. Today’s the perfect day to meet the auto repair experts in San Luis Obispo and Santa Maria, CA. They just so happen to work here at Rizzoli’s Automotive. Pay attention to the early warning signs of trouble and bring them to our facility. We’re looking forward to your arrival to our garage or your phone call. Our friendly and professional staff is on standby. All Makes & Models — We’re here for you! We stand behind our quality repairs and maintenance services with an industry-leading service guarantee of a 36 month / 36,000 Miles Warranty. Give us a call today at one of our convenient locations–805-541-1082 (San Luis Obispo) and 805-922-7742 (Santa Maria)–to schedule your next auto repair appointment. Save some time by using our convenient online scheduling system. Next time you’re in the area of one of our shops feel free to stop by. We gladly accept our walk-in customers. * In our ongoing efforts to stay green and limit our water usage we have reduced or eliminated our landscape irrigation in order to continue to offer our hand car wash to clients. If you prefer us not to wash your car, please let your Service Consultant know. Everyone at Rizzoli’s is kind, friendly and knowledgeable! By far, the best service I’ve ever received for car maintence… ever. Communications are clear about what maintenance is a “must”, what can wait, and what might be things to watch for as the car ages. Follow up communications, notes on work suggested and completed, as well as reminders on when to come in next are always accurate and appreciated. We’ll fix your car the first time, perform only the work needed, complete the work on time and at a fair price. We service your car as if it were our own.